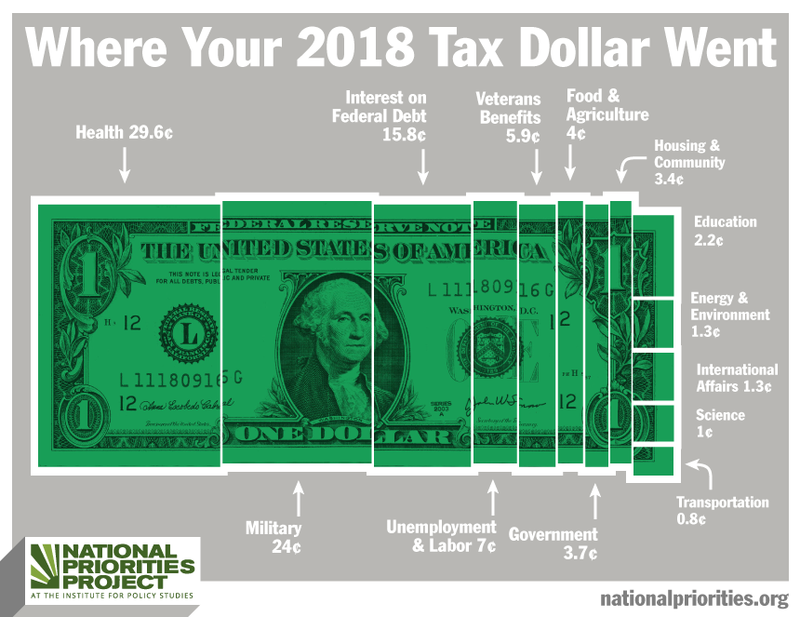 This chart shows how each one of your income tax dollars was spent by the federal government in fiscal year 2018. Learn more. Note: Our federal income taxes pay for everything from the military to education, from federal prisons to cancer research. There are other federal taxes you probably pay, too – like social security and Medicare taxes. But only income taxes are included in the tax dollar.